Woods Basement Systems is a member of the Greater St. Louis Chapter of NARI. The National Association of the Remodeling Industry is the nation's only not-for-profit trade association dedicated exclusively to the professional remodeling industry. 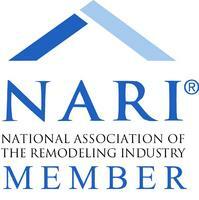 NARI promotes ethical and sound business practices for the benefit of the industry and America's homeowners. Woods Basement Systems is an authorized member of National Radon Defense, an exclusive network of radon professionals. National Radon Defense dealers maintain high standards of customer satisfaction and pursue on-going training in order to solve radon problems. The Better Business Bureau (BBB) is a prime resource for customers to locate and identify their locally trusted and certified experts. We are proud to be an accredited business through the BBB. Not only is our General Manager a certified professional through the Building Performance Institute (BPI), but we have a BPI certified professional on staff to assist our customers. It's important that our customers receive the best, so we do all we can to be the best. To develop a coalition of responsible Green Building industry leaders within the Home Builders Association of Greater Southwest Illinois dedicated to the education, awareness and promotion of sustainable design, energy efficiency and environmental responsibility. 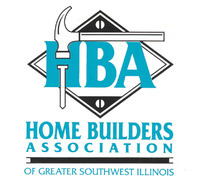 The Home Builders Association of Greater Southwest Illinois catalogs information about builders, remodelers, developers, and affiliated companies that abide by the HBA Code of Ethics and use accepted professional and business practices to meet or exceed local, state, and federal standards and regulations. The Home Builders Association of Illinois is the supervisory body that works to keep legislation and regulatory action favorable to the industry. They maintain awareness for builders, contractors, developers, and other parties involved in home building in Illinois. The NAHB is a trade association created to promote policies that make housing a national priority. NAHB has served its members, the housing industry, and the public since 1942. Our 300+ members really believe in this community, and our efforts are paying off every day. 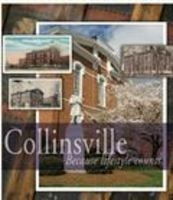 The Collinsville area is known for its progressive attitude, preferred location, great real estate market and significant new growth. By investing time, energy and talents into the future of Collinsville, Illinois, the Chamber and its members are moving the community forward with balance and pride. Membership in our local Collinsville Chamber of Commerce allows us the opportunity to be a part in advancing our community. We are proud to play our part. 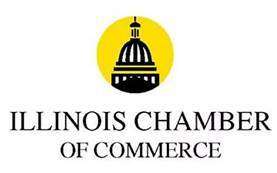 Woods Basement Systems is a member of the Illinois Chamber of Commerce. The Illinois Chamber of Commerce promotes and supports the interests, success, and prosperity of their members and the Illinois business community. The Angie's List Super Service Award honors excellence among service and health providers who maintain a superior service ratings and reviews on Angie's List. Super Service Award winners are preferred among Angie's List's members because only the top 5% of qualifying businesses per category, in each market, receive the award. Woods Basement Systems is a BBB Accredited Business. Family-owned and operated since 1986, Woods Basement Systems has over 36,000 existing customers and proudly maintains an A+ rating with the Better Business Bureau. The BBB loves the way we conduct our business, and our customers tell us that WOW! Service is important to them. We think that's important, too. 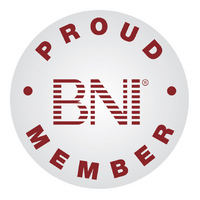 BNI is a business and professional networking organization that allows only one person per profession to join each chapter. Woods Basement Systems is represented in several BNI Mid America chapters, and our System Design Specialists meet weekly with business colleagues and other professionals to share customer referrals and help grow their businesses.